Our discipline expertise has enabled us to offer a highest quality range of Napkin Disposal Machine with Minimum Cost. 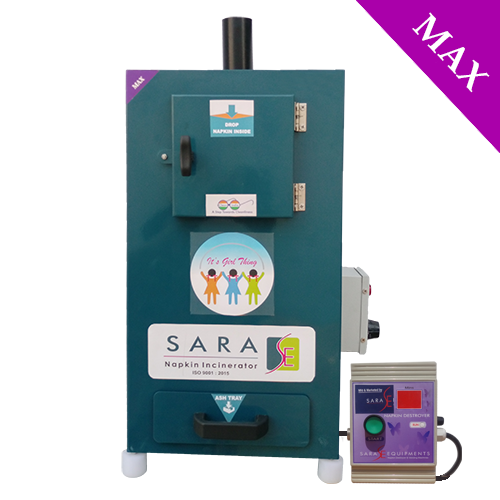 By using this Napkin Burning Machine easily burn the soiled Napkin waste thoroughly. Our firm has acquired a distinguished market position in manufacturing, supplying and wholesaling a broad array of Napkin Disposal Machine has High Quality with Minimal Cost. Being compact in size, this Napkin Disposal Machine can be easily placed on the floor, in an open area or can be mounted on the wall of washrooms. 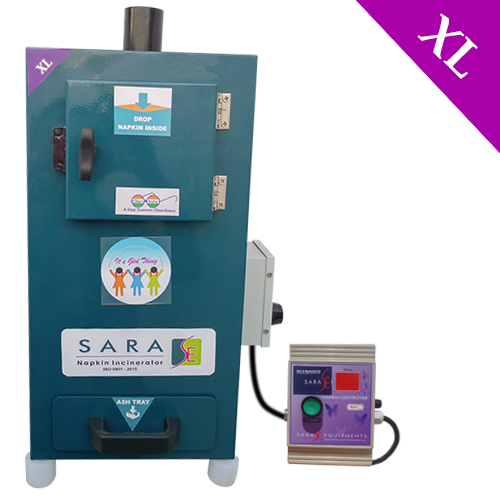 Fabricated under the guidance of UNICEF our offered machines ensure to function properly. Our concern has acquired a distinguished market position in manufacturing, supplying and wholesaling a broad array of Nappy Disposal Machine which exhibits Best and High Quality but Low Cost. Being compact in size, these Napkin Burning machines can be easily placed on the floor, in an open area or can be mounted on the wall of washrooms. 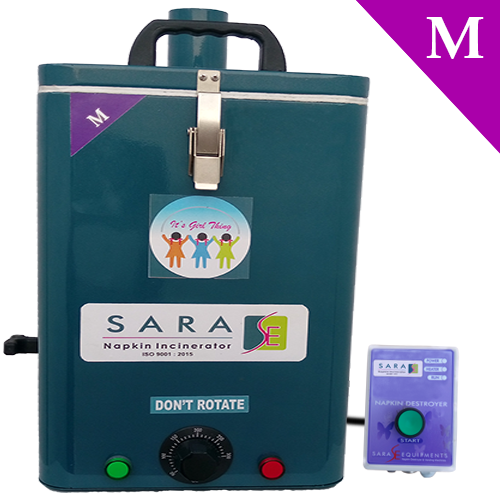 Our concern has acquired a distinguished market position in manufacturing, supplying and wholesaling a broad array of Sanitary Pad Disposal Machine which exhibits Best and High Quality but Low Cost. Being compact in size, these Napkin Burning machines can be easily placed on the floor, in an open area or can be mounted on the wall of washrooms. Our Napkin Disposal Machines are fabricated under the guidance of UNICEF our offered machines ensure to function properly. 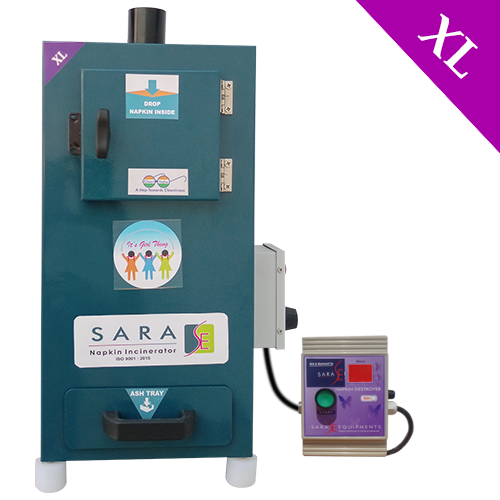 Sara Equipments - Our concern has acquired a distinguished market position in manufacturing, supplying and wholesaling a broad array of Auto Cut Off Sanitary Pad Disposal Machine which exhibits best and High Quality but Low Cost. Being compact in size, these Napkin Burning machines can be easily placed on the floor, in an open area or can be mounted on the wall of washrooms. Our Napkin Disposal Machines are fabricated under the guidance of UNICEF our offered machines ensure to function properly. Looking for “Napkin Disposal Machine”?